To our Canadian followers. If you’re in the Saskatoon, SK area on Thursday, January 17th, why not check out Mark Bidwell’s presentation “Ecology and Conservation of Whooping Cranes” put on by Saskatoon Nature Society. The public is welcome and it starts at 7:30 PM. The presentation will be held in Room 1130, Health Sciences E-wing, University of Saskatchewan campus in Saskatoon. Mark specializes in endangered species and he is responsible for whooping crane research and conservation. 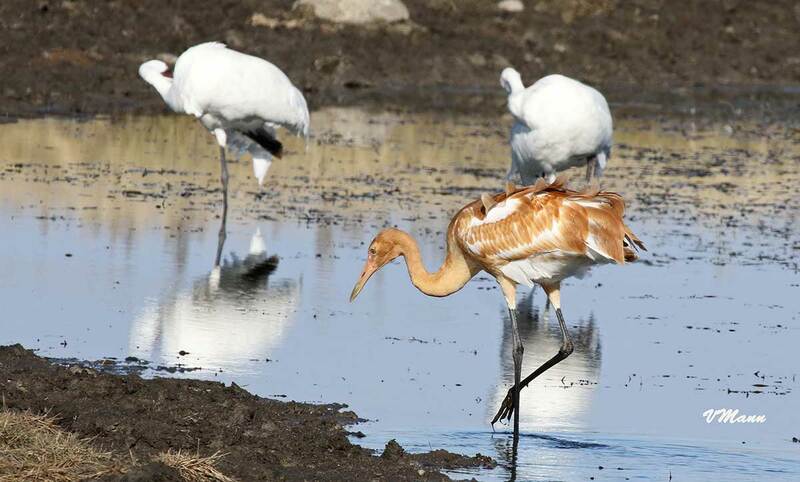 In his talk he will discuss the current status of whooping cranes and what we know about their behaviour and movements during the breeding season and on their migration through Saskatchewan. Finally he will talk about what can be done to conserve cranes and their habitats.